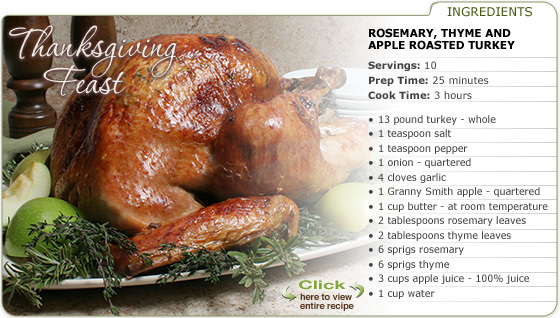 Presenting a beautiful roasted turkey to your Thanksgiving table can be easy with the help of RecipeTips.com. 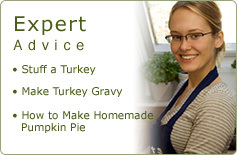 We have everything you need with step by step instructions in our easy to use Turkey Cooking Guide. Don't forget the side dishes and pie. Browse our collection of favorite Thanksgiving Recipes to find the perfect accompaniment to your holiday meal. 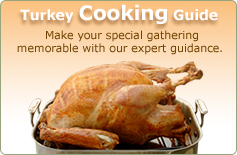 All of us at RecipeTips.com wish you a happy Thanksgiving.